The panel of judges composed of Roland Ilia, Firedes Shuli and Jensila Pine decided on the confirmation on duty of the Judge Gentian Medja, as the administrative investigation undertaken by the Independent Qualification Commission concluded that the judge fulfilled the three criteria of the reevaluation process. 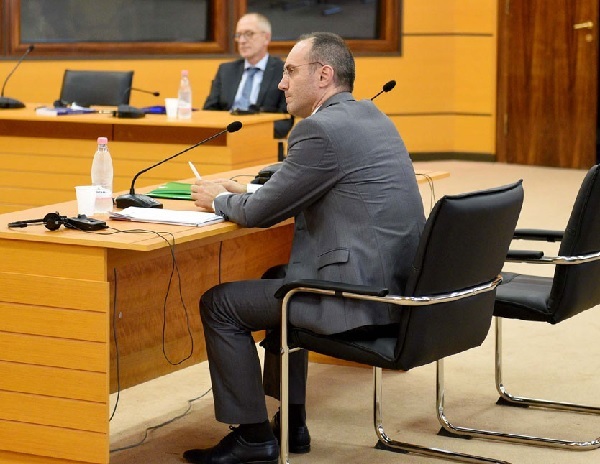 Judge Medja was declared completely accurate and without hidden assets at the hearing of the Independent Qualification Commission where he appeared personally and without a lawyer on Monday 30 July. According to Firdes Shuli, Medja, 40 years old, with experience in the court in Shkodra and in the Administrative Court of Tirana, was "fully cooperative" with the commission and received clear reports from ILKPDKI as well as by the administrative investigation of the property commission for him and his parents, consisting of a privatized apartment in Shkodra and some savings accounts for a total of Lek 4.1 million along with some shares of the parents in the Tobacco-Cigarette Company in Shkodra taken from the privatization process. The enterprise has gone bankrupt long ago and the actions of the parents of the judge have never created income. The Classified Information Security Directorate reported to the Commission the purity of the judge's figure. The judge turns out to be living in Tirana in a rented apartment and has a modest car. Medja underwent the veting process as part of the top priority list due to his nomination as a member of the Council of Appointments in Justice.